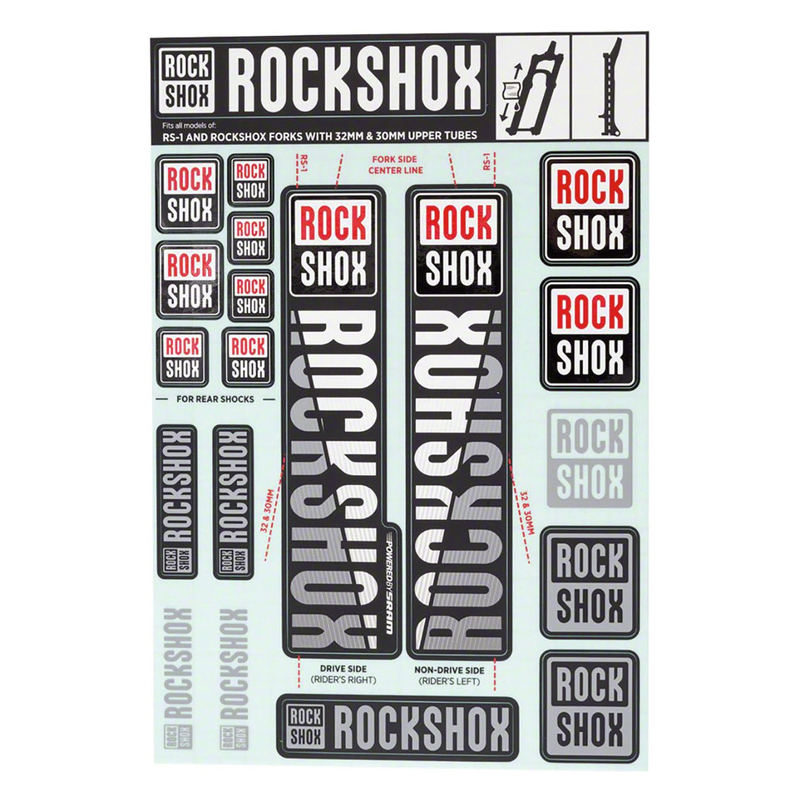 A Rock Shox decal kit is a great way to customize your ride or freshen up the look of your scratched-up fork. 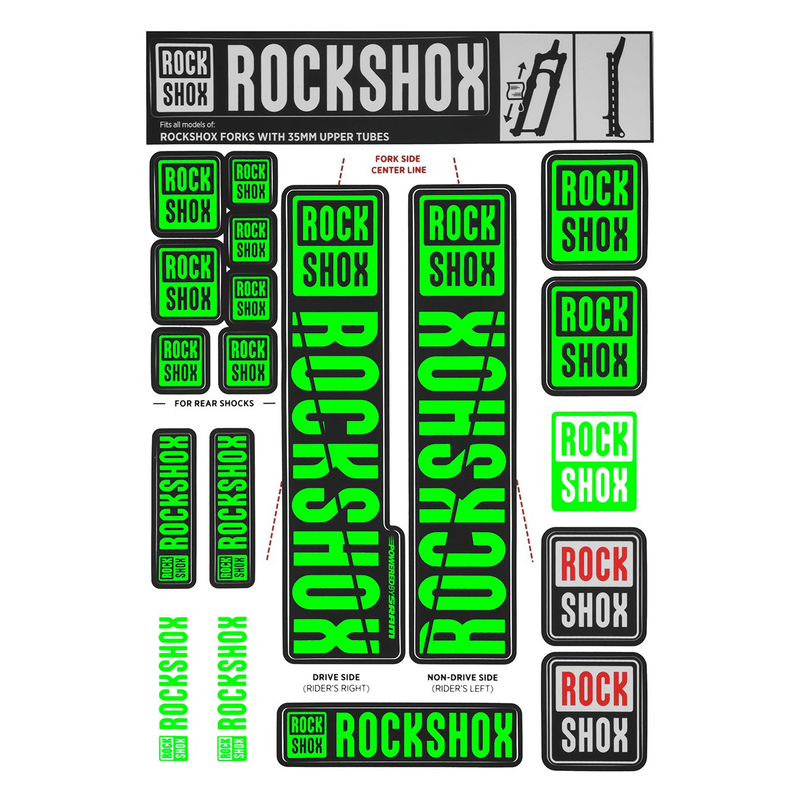 Get colored decals to match your frame or get some all black decals to go full stealth. 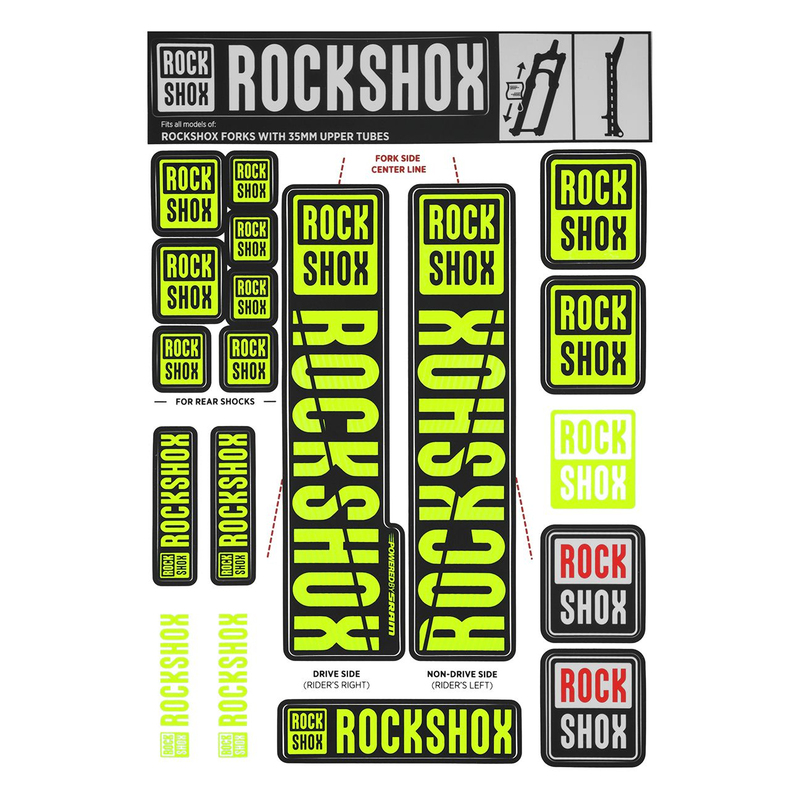 Whichever option you choose, it will make your bike look like new and allow your ride to stand out from the pack. 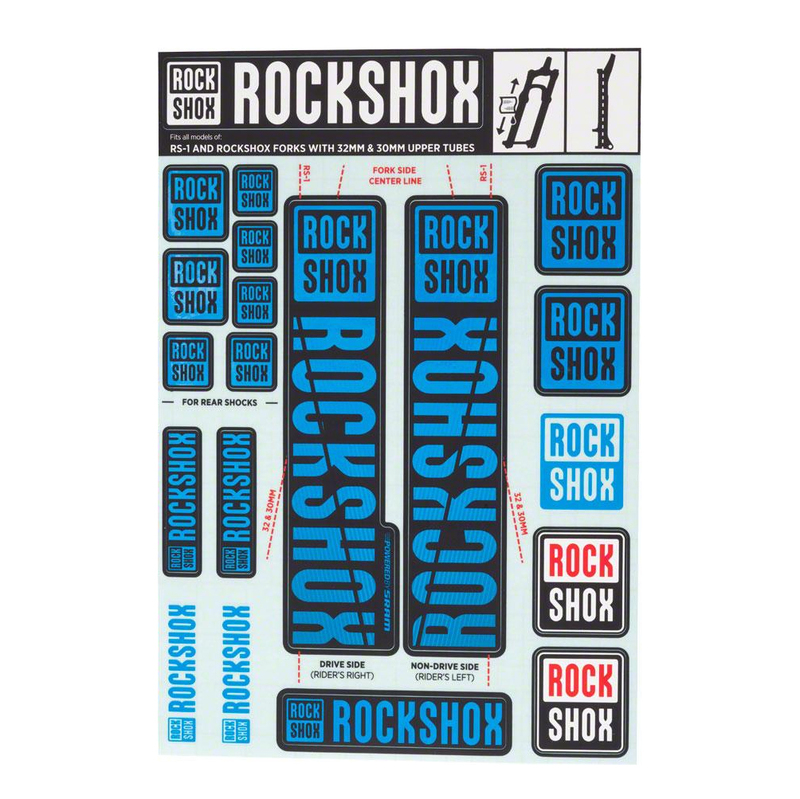 The Decal kit comes with two main decals for both sides of the fork and multiple smaller decals you can put wherever you wish. The two main decals also have alignment guides to ensure proper decal location on your fork. 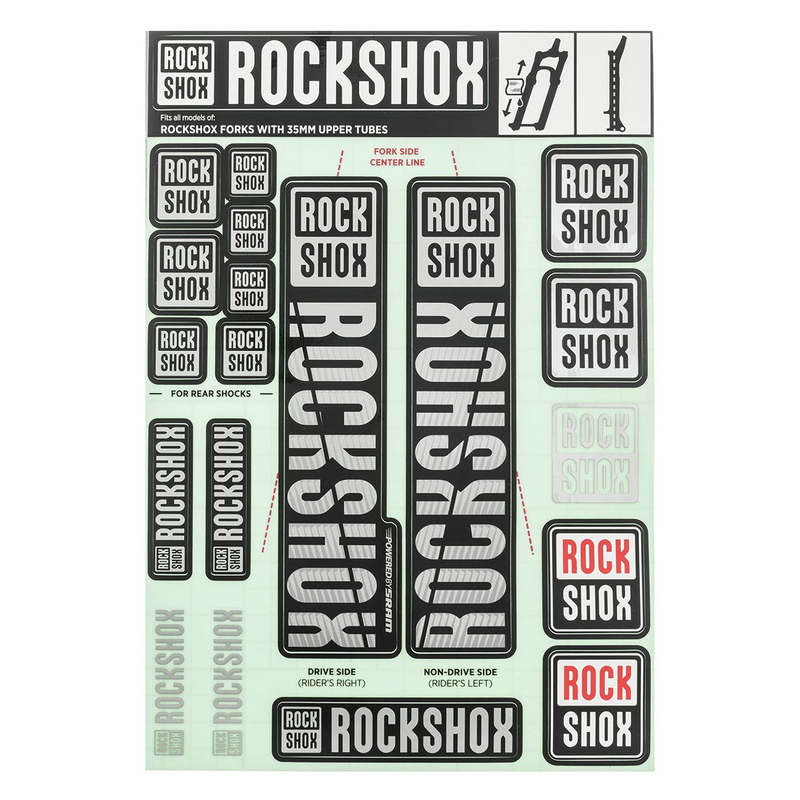 This decal kit is designed for Rock Shox forks with 35mm stanchion diameters such as the Pike, Lyrik, and Yari. Bought these decals for a newly purchased fork. Great quality however the description says yellow not neon yellow. My fault should of looked closer. 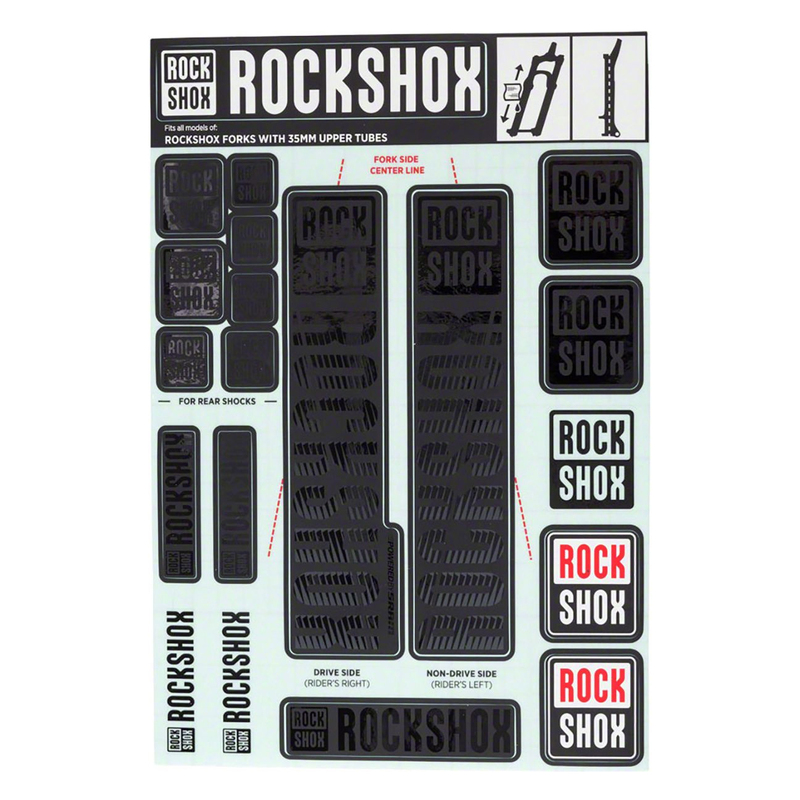 Ended up buying the black ones instead.